One of the projects the Dr Syros embarked on was to bring the Magic of Kindness into his community. No matter where we are, each of us hold the key to brightening our community with what we say and do! 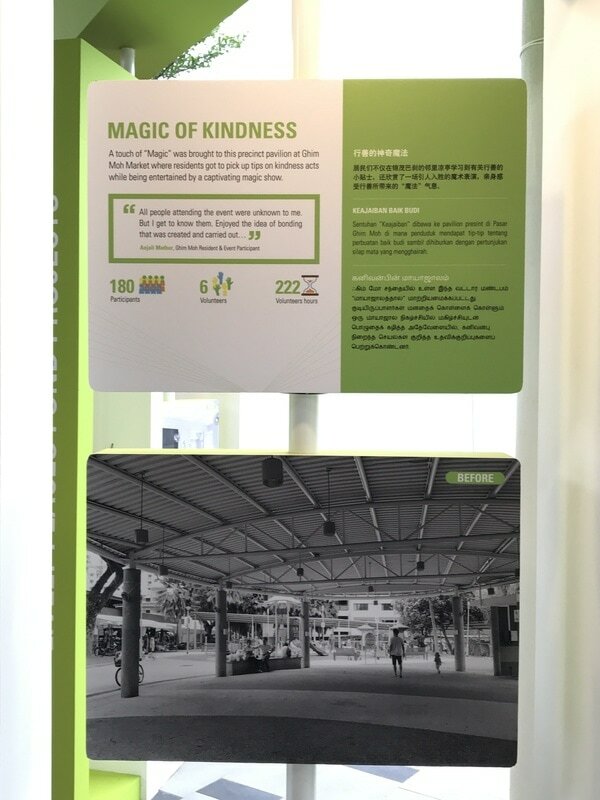 With support from the HDB Friendly Faces, Lively Places Fund, Magic of Kindness has transformed a plain looking pavillion into an area of interaction between residents where bonds can be forged amongst neighbours! Magic has always been a large part of the life of Dr Syros. Better than just performing it for audiences of all ages, is to use it to give back to community. Dr Syros engages with the inpatient and outpatient paediatric patients in NUH and KKH, hoping to bring a smile, or even a laughter into the lives of these young ones. Keep these patients in prayer as some of them have to face the big C even at such a young age. However difficult life may seem, there is always something we can do for each other. Believing and reaching out! 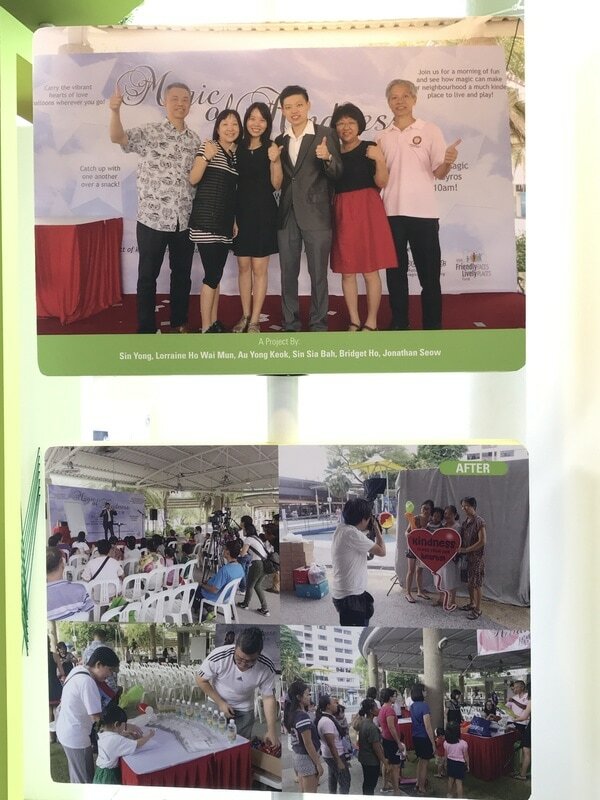 On 27 May 2017, we celebrated the start of HDB Community Week at Punggol Town Square and Magic of Kindness was featured. We are happy to share with others what we have done and hope that you and I, can continue to shape our society together! There are many ways of showing kindness to people around us! You may find that words of appreciation means more to us. You may find that giving small touches of encouragement to others is the way forward. You may love to give gifts of love as a way of expressing love and kindness! Every one of these ways is unique! Feel free to discover your own! 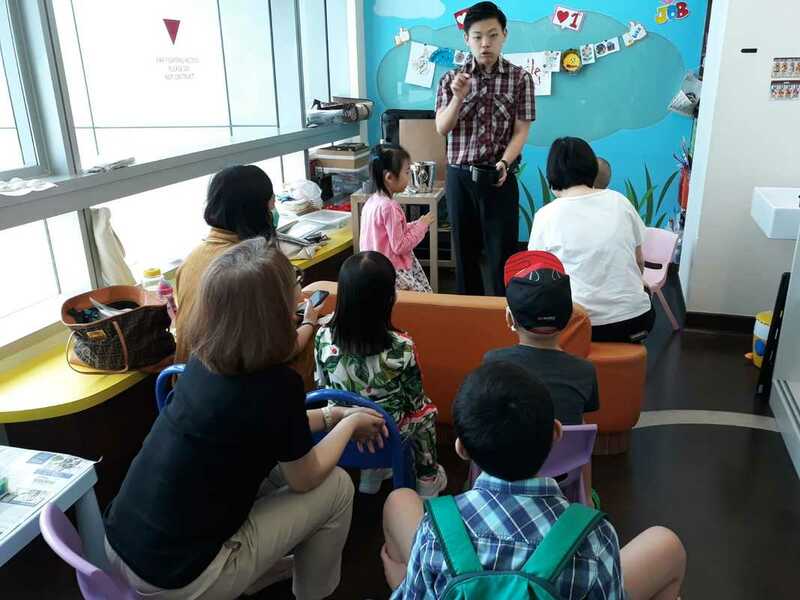 Join us in this interaction with our special guests, Minister Lawrence and Dr Cheong as we find out what are their favourite ways of showing kindness to others! 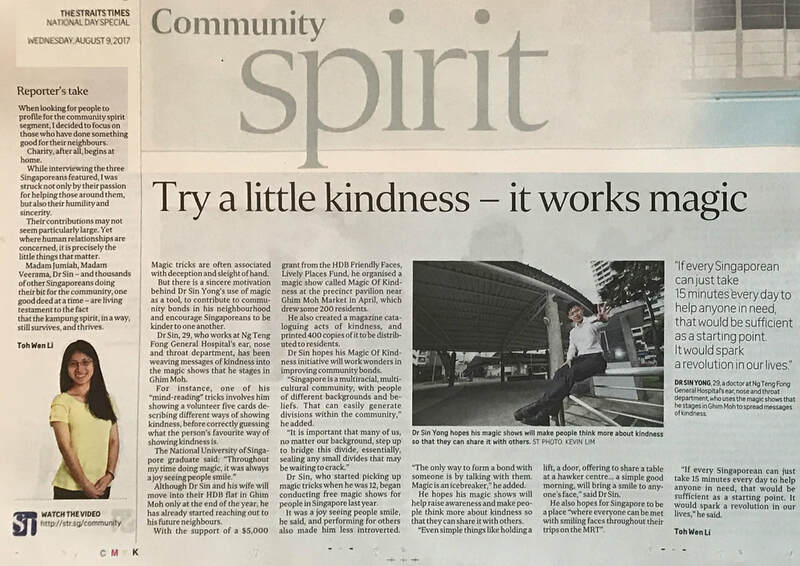 Magic of Kindness was also featured on The Straits Times, Lian He Zao Bao and Shin Min Newspaper. We are glad that we can reach out to more people and encourage others to actively be the light of kindness in our community! Try a little kindness - it works magic!